This entry was posted in UW Press News on May 30, 2014 by uwpressblog. In today’s post, UW Press book designer Dustin Kilgore describes the process of designing the new cover for Carlos Bulosan’s memoir, America Is in the Heart: A Personal History. The book, first published in 1943, describes Bulosan’s boyhood in the Philippines, his voyage to America, and his years of hardship and despair as an itinerant laborer following the harvest trail in the rural West. As Marilyn C. Alquizola and Lane Ryo Hirabayashi point out in their new introduction, the book “still stands today as both an indictment of twentieth-century American imperialist designs overseas and a testament condemning a pre–World War II domestic regime of racialized class warfare.” Nevertheless, Bulosan maintained hope that America would provide new opportunities and he came to love it as his home. Here, Kilgore explains how he wrangled these complexities in designing the cover of the new 2014 edition of the book. Prior to the 2014 reissue, the most recent edition of America Is in the Heart was published by the University of Washington Press in 1973 and featured a 1946 illustration by Frances O’Brien from the cover of the Saturday Review of Literature. When the design was reduced in size for the 1973 book cover, the shadows on Bulosan’s face appeared heavier than in the original illustration. This problem was exacerbated in subsequent reprintings, ultimately resulting in a heavily shaded, somewhat sinister-looking illustration of Bulosan. The determined look in Bulosan’s eyes in the original O’Brien illustration became almost glowering as the quality of the illustration was degraded over time. 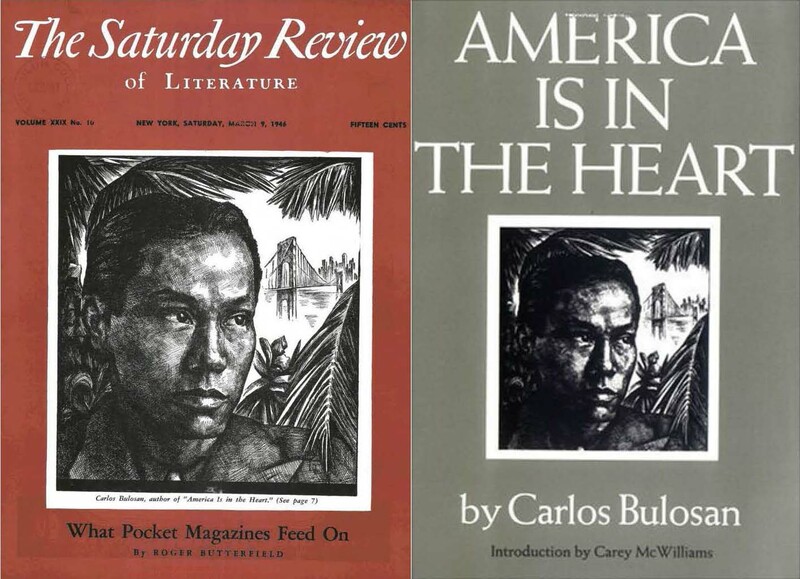 The original Frances O’Brien portrait of Bulosan as it appeared on a 1946 cover of The Saturday Review of Literature (left) and the degraded, heavily shadowed illustration on the cover of the 1973 edition of “America Is in the Heart” (right). This entry was posted in Asian American Studies, Behind the Covers, Book Design and tagged America Is in the Heart, Carlos Bulosan on May 21, 2014 by uwpressblog. In Hiking Washington’s History, Judy Bentley details forty trail hikes and describes the historical significance of spots along those trails in vivid detail. It’s a fantastic way to enjoy the beauty of the region, while also learning something about its history. 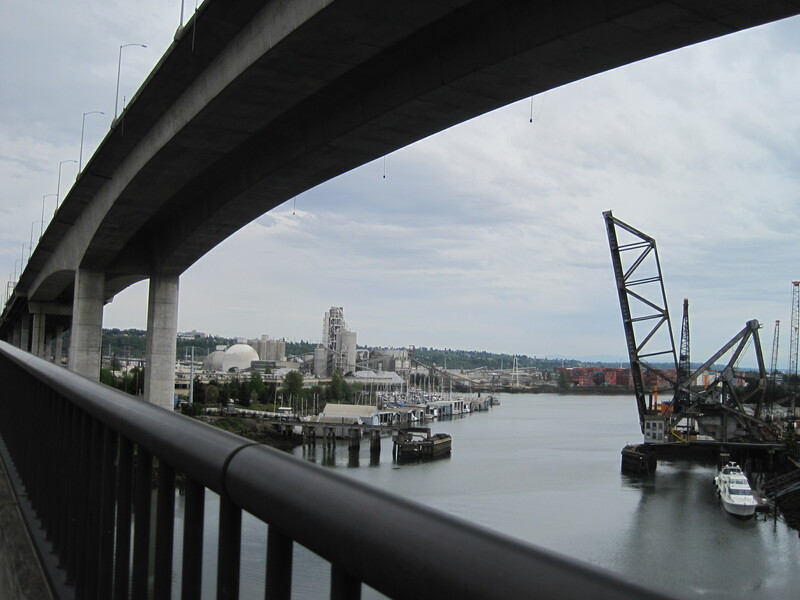 In today’s guest post, Bentley details an urban hike or bike ride that will take you through areas of historic and contemporary significance to the Duwamish tribe and Croatian immigrant communities. 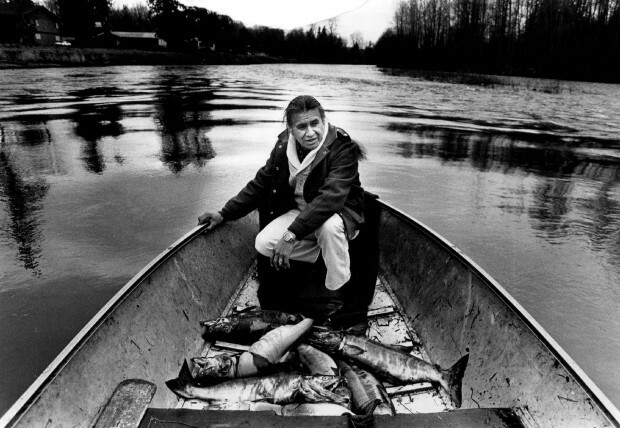 This entry was posted in Guest Post, Native American and Indigenous Studies, Pacific Northwest, Uncategorized and tagged Hiking Washington’s History, Seattle, Washington on May 7, 2014 by uwpressblog. 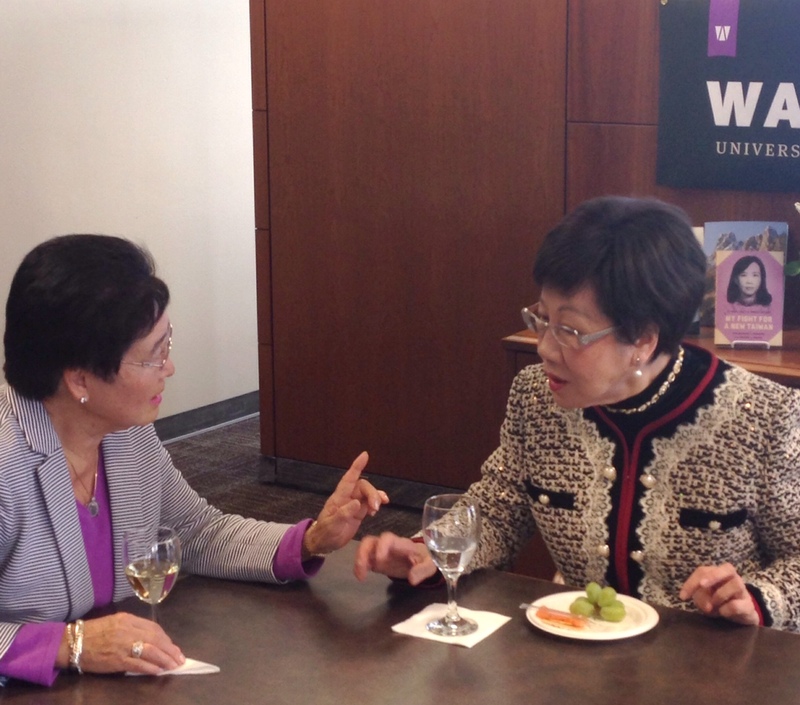 Former Taiwanese Vice President Annette Lu engaged in conversation with UW Press advisory board member Nan Hahn. The staff of the University of Washington Press was honored to host former Taiwanese Vice President Annette Lu and her coauthor Ashley Esarey for an author reception prior to their book talk at Town Hall Seattle. Vice President Lu and was in Seattle on the last stop of her U.S. book tour for her new memoir, My Fight for a New Taiwan: One Woman’s Journey from Prison to Power. See additional photos from her visit here. Congratulations to Peter Sears, who has just been named the next Poet Laureate of Oregon. Sears is the author of Small Talk: Selected Poems, which we distribute for Lynx House Press. We’re delighted to have the opportunity to work with such an acclaimed poet! This entry was posted in News on May 2, 2014 by uwpressblog.